Coin Tasker is a rewards based community website allowing members to earn bitcoins by completing tasks. We have a large variety of tasks that range from something as simple as logging in, to something as detailed as a survey or product trial. With such a large variety of tasks, you can start earning bitcoins instantly! The real question is, “Why not Coin Tasker?”. Coin Tasker is absolutely free, anonymous, and a great way to earn bitcoins free. We will never require payment from you in anything but the rewards you earn on our site. We will never sell or give your private information away, and we require as little information as possible while still creating a user rich member oriented community. We have more tasks and larger variety than any other bitcoin earning website. We also have the highest payout rate in the industry for our members. Ultimately, this is why you should try Coin Tasker. Does Coin Tasker cost me anything? No, absolutely not! Coin Tasker is 100% free to use as a tool for earning bitcoin without directly purchasing it. Please be aware, we we may include trial offers that require a purchase before you earn the listed amount of bitcoin, but we will always have free tasks you can participate in and not spend a single penny to earn bitcoin. Please read the details of each task carefully, and use your intuition in determining which tasks are which. They are typically labeled very clearly. How do I earn bitcoins? Earning bitcoins is easy! First, you will need to register so we can keep track of your btc balance. Once you register, your account will be rewarded a 50? ?BTC bonus, and will have already earned your first chunk of bitcoin. Once you check your email and login, you will automatically get your daily login bonus, and once again earned another chunck of bitcoin. ?Once logged in, you can earn bitcoin by completing tasks, such as watching YouTube videos, downloading games, trial offers, Google Tasks, and a whole lot more! How much can I earn with Coin Tasker? The amount of bitcoin you can earn is completely up to you. Because Coin Tasker has the largest variety of tasks, as well as the highest payout structure of any GPT bitcoin website, we believe the possibilities are endless. 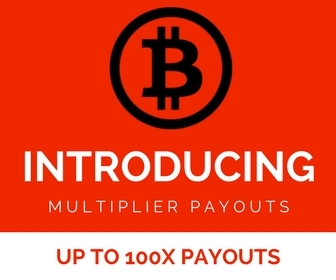 With new offers being added daily and thousands of tasks available at any given moment, you will never lack the possibility of earning more bitcoin! How do I cashout my bitcoin balance? Cashing out your bitcoin balance is easy! Once you’ve met the minimum balance of .005 BTC (5,000? ?BTC), you can visit the?Coin Tasker Shop?and cashout your balance. ?We typically process payments every day, except for weekends. Why am I unable to withdraw my bitcoin balance? Before you can withdraw your bitcoin balance, you must first earn the minimum to withdraw. Only members who earn balance of at least .005 BTC (5,000? ?BTC) will be able to withdraw. What is the minimum to withdraw? Why was my withdrawal request placed on hold? status updates, making friends etc. As soon as you start completing 3rd party tasks, we are forced to verify those task completions with our advertisers, and none of our partners verify tasks any faster than 30 days. So please do remain patient, and rest assured that if you completed tasks honestly and fairly, you will be paid promptly as soon as possible. Thank you for your patience in this matter. Your comment included an affiliate link. Your comment included a shortened url, which are deleted because they typically are affiliate links themselves or used to hide an affiliate link. Your comment was a duplicate post and does not add value to the community. Please post unique comments EVERY time to effectively contribute to the community. Your comment included offensive content including language, images, or links to other potentially offensive content. Your comment included non-relevant information. This typically includes a specific member repeatedly posting about non-bitcoin related topics, such as religion or politics. Please be aware, we encourage members to talk about non-bitcoin related topics, but if you repeatedly post about the same topic for an extended period of time, and our moderators or even other members take notice of this, your comments may be deleted. Your link is not an affiliate link. Your link actively contributes to the community. Please do not post links to non-bitcoin related sites. Your link is not shortened with a url shortener. Your link does not lead to offensive or harmful material such as violent images or computer viruses. You do not repeatedly post your link. Please only post your link once. Why was my account marked as a spammer? Your account will be marked as a spammer and you will be permanantly banned from Coin Tasker if you repeatedly post affiliate links in the forum, repeatedly post duplicate content in the forum (adding useless comments to earn BTC), or if you attempt to cheat or complete tasks fraudulently. Is it safe to download and install programs from the task walls? We recommend always using Sandboxie?when installing any 3rd party application. Sandboxie will open and install the application in what is called a “sandbox”, and will not allow the program to make any permanent changes to your computer. ?It is common for 3rd party programs that require installation for bitcoin to install browser toolbars, extensions, and change your homepage. ?The advertisers we work with monitor these programs and do their best to ensure they are safe to install, but Sandboxie will allow you to install and earn credit without the fear of installing anything you don’t want. Why did I not receive credit for a task I completed? There are a number of different variables that can interfere with or prevent tasks from properly crediting your account. Please keep in mind that CoinTasker.com does not have any control over how tasks are tracked and approved. The 3rd party advertiser has the final say as to whether or not a task you completed is eligible for credit based on the information they receive from their analytics and tracking. CoinTasker.com immediately credits users for every completed task approved by the advertiser. ?Most of the time, tasks are approved instantly, but some tasks are not. If you are using a ?proxy or external web service, your account will not be credited. If you provide false information, your submission will not pass the validity test, the advertiser will reject your submission, and your account will not be credited. If you are using a browser extension that effectively blocks cookies or an ad blocker program,?your account may not be credited. If your web browser does not accept third-party cookies, your account may not be credited. If you have already completed the same offer on another site, your account may not be credited. If you or your geographic location have been flagged for abuse, your account will not be credited. For suggestions and tips to increase your odds of receiving credit for successfully completed tasks, please see the next question. How can I increase my?odds of receiving credit for successfully completed tasks? First, verify your browser is set to accept all third-party cookies. Enabling browser cookies is very important and typically the most common issue with receiving credits. This will ensure that the tasks you complete are tracked and credited properly. Learn more about?how to enable cookies?for Chrome. Second, you should?delete your cookies and clear your cache. ?After clearing your cookies, you should restart your browser before moving on. Next, if you have any ad-blocking programs or browser extensions that may be blocking cookies, you should temporarily disable them while visiting CoinTasker.com. Additionally, if you have anti-spyware or virus protection programs such as Norton, AVg, or McAfee installed on your computer, you should verify they are not set to block third-party cookies. Make sure you provide truthful information so your submission passes the validity tests many of our advertisers use before accepting submissions. Lastly, if you are connected to the internet via a proxy server or public connection, you may need to connect via other means if available to you. You may be locked out of your account if you repeatedly spam the forums, participate in fraudulent activity, or have not logged in in the last 30 days. due to database hosting restrictions, inactive accounts are routinely locked and wiped from the database. Please make sure you follow the rules and login at least once a month to keep your account active.